If you are searching for the best free grammar checker online, you are likely to come across several, including Grammarly, which is what this review is actually about. I have no intention of trying to promote Grammarly or their services in this review. Instead, everything which you read is based entirely on what sort of experiences other people have had after signing up with this company. I will be sharing with you, both the good and the bad; the positives as well as the negatives. Grammarly® was originally founded by Alex Shevchenko and Max Lytvyn in 2008, and in 2009 the company launched Grammarly Editor. In 2012 they established their headquarters in San Francisco, and two years later they launched a new improved version of their flagship product, Grammarly Editor. During this time the company also developed an add-in for Microsoft Office; a Google Chrome extension, and etc. In addition to their free services, the company has also developed various services and features which are available to their premium membership holders. Today Grammarly has over 4 million registered users, and their products are licensed by more than 600 universities and business corporations. Grammarly has obviously been very successful or else they wouldn’t still be in business, and they certainly wouldn’t have so many registered users. Nonetheless, that does not necessarily mean they are the best. Neither does it mean you are automatically guaranteed a smooth and hassle free experience if you decide to make use of their services. In order to find more about this company so that I could write this review, I spent a considerable amount of time doing online research. By the way, I never write reviews which are based solely on my own personal experience with a product or a company. I think reviews offer far more value to readers if they are based on the opinions of many people. So, to find out what others are saying about Grammarly, please continue reading. Easy Sign Up Process – Signing up for a free membership takes absolutely no time at all. You simply fill your name, add your email address, choose a password, and then click ENTER. If you want to take a short tour to see how things work you can, or else you can just start using the software immediately. Multi-Platform Integration – Once you have logged into your Grammarly account, you are given an option to download an add-on extension for your browser. This essentially allows you to use the free grammar check whenever you are typing anything on your computer, including things like email and etc. However, this extension does not work in Microsoft Office unless you download the Microsoft Office extension which also happens to be free. It’s Free – While this must certainly seem like a very obvious benefit, I am still mentioning it here because so many other people have specifically mentioned it. Good Customer Support – Several members have commented on the fact that Grammarly offers customer support to all members, regardless of whether you signed up for a free membership, or whether you signed up for a premium membership. High Degree of Accuracy – Countless people have remarked on how accurate the software is. According to one report I read, deliberately flawed text was tested for grammatical errors and spelling errors using various free software programs, including Microsoft Word. 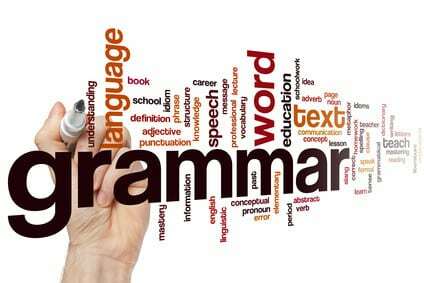 Grammarly achieved an accuracy score of 97%, while Microsoft Word only scored 78%. Easy 3-Step Registration – I know this has been mentioned in the list of benefits further up the page, but I think it also deserves mention in this section. The fact that you can start using the software after only having to complete three quick and easy steps is clearly something which people appreciate. No check boxes to mark; no endless questions to answer, and no need to log into your email account to recover some verification code or whatever. It really is a matter of one, two, three and you’re in. Obviously if you sign up for a premium membership then there is going to be additional form filling, but that is something which cannot really be avoided. Easy to Use – In virtually every single review I have read, the authors have commented on just how easy the software is to use. If you download the browser extension add-on you can quickly and effortlessly check for spelling and grammar errors in real time while you are typing emails, filling out online forms, or even while you are working in WordPress. If you install the free Microsoft add-on then you can also scan for errors in real time when using Microsoft Office programs. Alternatively, you can log into your Grammarly account and then simply upload any files you want to scan and correct, or you can just drag and drop text into the appropriate box. In a nutshell, it really doesn’t get any easier than this. High Level of Accuracy – This too has been mentioned in the list of benefits further up the page, but it was mentioned there mostly because it is not something you would automatically expect from free software. Judging from the many reviews I have studied, this grammar checker is not infallible, but it consistently scores higher marks for accuracy than most of the other grammar checkers with which it was compared. More than a Grammar Checker – Rather than only scanning text for grammatical errors, this software also checks for punctuation errors and spelling errors, including contextual spelling errors. Any errors that are found are underscored with a red line, and you are shown one or more correct options to choose from. If you are still confused, you can follow the links on the error cards which take you directly to the forum where you can then get additional information. Another thing which many people have commented on is the fact that the software has been designed not only as a spelling and grammar checker, but also as a tool for teaching. Very Versatile – No matter where you are or what you are doing, you can use the grammar checker to quickly scan your work for errors since it has multi-platform compatibility. Good Customer Service – Quite often, when you sign up for free memberships online, you aren’t entitled to any form of customer service. This is not the case with Grammarly. All members, including those with free membership are entitled to use the Help Desk. In addition to the Help Desk, members are also encouraged to actively participate in the forums where you will always find someone who can answer your questions. Plagiarism Checker – While this feature is only available with a premium membership, I think it deserves a place in this list of pros. Many of the people who are using Grammerly are writers and many have commented on how nice it is to have a dependable grammar checker and plagiarism checker all in one bundle. Naturally this feature can also be extremely useful for students and for people who are publishing content on their websites, not least because duplicate content can seriously damage your search engine rankings. Formality Level Recognition – This is another feature which deserves a place on this list. I could of course be wrong, but to the best of my knowledge, this is the only grammar checking software capable of recognizing different levels of formality. For example, it can distinguish between academic writing; business writing and technical writing. Money Back Guarantee – If you sign up for the premium membership, you get a 7-Day Money Back Guarantee. While 7 days may not seem like a lot of time, most members tend to agree that it is ample time to test drive this software. In all fairness, you don’t have to physically send something back to a supplier. Instead, you just send an email to customer support. The cons appearing in the list below are not necessarily accurate or even true, but they do reflect the way some people feel about Grammarly. As I’ve already mentioned, this review is based on general customer opinions, so it is only fair that I report about complaints as well. Intrusiveness – A few past customers have complained that the software is too intrusive. In other words, it keeps on offering assistance even when you don’t really want it to. I can only think that this must be because these customers downloaded and installed the browser extension. If that is indeed the case, the extension can easily be disabled from within your browser. Not the Fastest – Grammarly is really quick, but according to the research I have done, there are faster options out there. It Is Not Infallible – While this grammar checker is without question more accurate that many other grammar checkers, it is still not 100% accurate. Then again, a grammar checker which is 100% accurate 100% of the time has not yet been invented. Guarantee Time Limit – Some people have complained about only having 7 days to claim a full refund if they are not happy with their membership. I personally feel that 7 days is adequate, as do most current members. Restrictive Refund Policy – Some past customers have complained about not being able to get partial refunds if they reach a point where they no longer need the software prior to their membership ending. I have to be fair here and say that I have read the company’s refund policy, and they make it very clear that they don’t refund any fees if a member decides to cancel prematurely. No Live Chat – A few members have said they would be a lot happier if Grammarly introduced a Live Chat feature. Considering how common Live Chat is nowadays, I too cannot understand why this company doesn’t have it, even if they restricted it to premium members only. NOTE: Enterprise Subscriptions are also available for bulk users in higher education; government agencies and business corporations. Based on the large amount of research I have done, I have no reason to doubt that Grammarly offers the best free grammar checker currently available. From what I have read, the company sometimes has special promotions, and they also often offer a free trial period, which might be something worth considering if you intend signing up for a premium membership. If you only want to use the software occasionally for writing emails to friends and family, or for when you post to social media sites then the free membership should be fine. If, on the other hand, you are expected to routinely produce content which must be grammatically correct; free of spelling errors, and 100% unique, then one of the premium membership packages would naturally be a better choice.